Using pure organic bioactive Aloe Vera ensures that the plant’s beneficial polysaccharide levels are maximised, and in combination with a select blend of bioactive natural extracts they coat and penetrate the fibres of the hair. This natural shampoo soothes and nourishes the roots and scalp, leaving hair feeling silky soft, restored and totally manageable. Massage shampoo into wet hair. Rinse and repeat as necessary. For best results follow with Dr Organic Aloe Vera Conditioner. Aloe barbadensis leaf juice, Aqua, Sodium lauroyl sarcosinate, Sodium cocoamphoacetate, Cocamidopropyl betaine, Palmitamidopropyltrimonium chloride, Coco glucoside, Glyceryl oleate, Sorbitan sesquicaprylate, Sodium hydroxymethylglycinate, Parfum, Limonene, Linalool. 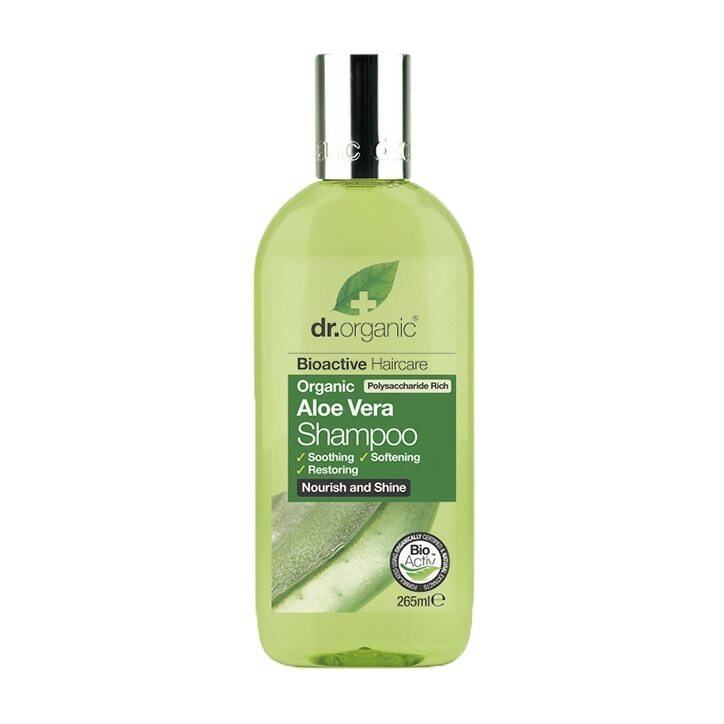 Dr Organic Aloe Vera Shampoo is rated 4.2 out of 5 by 61.